Dennis Scully: When you don't know the rules, it's easier to break them. At least that's the thinking of my guest this week, internationally renowned interior designer Clodagh, a self-taught fashion designer turned interior designer. The Ireland native is best known for her spiritual focus, minimalist style, and some 20 product licenses including with RH, Visual Comfort, and Ann Sacks. In this week's episode, Clodagh reveals the one trait that has made her most successful, her trick for handling rude clients, and her secret to achieving zen even in the back of a New York City taxi cab. Dennis Scully: I wanna share with people who might not be familiar how you sort of got started in the creative field, 'cause I know you don't like to be put in the box of just being an interior designer or being any kind of one thing. When did the creativity start? And tell me a little bit about the path you ended up taking? Clodagh: I've always been a bit of a renegade. I rode fast horses, I had dogs, you know? I studied wellness through my father because you feed the horses so they would jump higher and the dogs so they would show better in the dog shows and win prizes. I had an early understanding of the importance of nutrition. Never applied it to myself, by the way, but thought, "My god, if I don't feed that horse right, he's not gonna jump well." Dennis Scully: Yeah. You took good care of the horses. Clodagh: Yes, it was kind of a combination of the kindness of my mother and her artistic side and the caring for animals and, of course, the garden. And living, really, a wild childhood in the country. We were very tucked away. We were downwardly mobile. The valuable antiques were sold to send us to school. My family were downwardly mobile aristocrats. Dennis Scully: Yes, I'm very familiar. I know it well. But you've always been so amusing about that, yes. The silver was getting sold off, and ... right? Clodagh: The silver was getting sold off and, of course, the silver, before it was sold off, had to be polished which is one of the reasons I've become extremely minimalist. Because you should not have to care of your house, your house should take care of you. Dennis Scully: That's right. Good riddance to all that silver that you had to polish. Clodagh: Good riddance to all of that and the mahogany tables that you couldn't put a glass down on without screams, you know? The Chippendale Mahogany, and this, that, and the other. Dennis Scully: All those high maintenance furnishings shouldn't be like that. Clodagh: Furniture should take care of you, too. Clodagh: Yeah, it's to be sat on, eaten at, and your feet put up on it if you feel like it. Dennis Scully: Now, you took this wonderful care of the horses, but one day a horse ... Well, tell us that. Clodagh: Well, I took wonderful care of the horses, but I came down from boarding school and my father had bought me a horse that was saddle shy and he always told me I had to lunge it maybe for 20 minutes before I got up on him because he was so wild. Dennis Scully: Oh, my. Okay. Clodagh: But instead of that, the wild child got up on the horse. The horse took off and he bucked so hard that the gird snapped and I was thrown off on the stony ground and I hurt my back really quite badly. Clodagh: Yes. I was on my back for months. Dennis Scully: Okay, okay. And you were a teenager at the time, right? Dennis Scully: Coming home from boarding school? Okay. Clodagh: My father had a brother with one more degree than anybody else ever had in Trinity College. That was where I was supposed to go to do Classics and Mathematics 'cause I excelled at both, amazingly enough. Clodagh: And I was lying on my back looking at the Irish Times and I opened the Irish Times when I was still in bed and I saw a sign, an ad, why not be a dress designer? Dennis Scully: And you said, yes! Clodagh: I remembered somebody had said to me, "I like the way you wear your clothes." Clodagh: The two put themselves together and I thought I'm going to be a dress designer. My father was furious. Nobody in our family had ever gone into a trade. Dennis Scully: Into a trade, of course. Clodagh: He locked me out. Dennis Scully: He did. Literally, locked you out? Yes. Dennis Scully: Okay, so she was supportive. Clodagh: And signed a lease for me, so I went off to a lovely little flat in a Georgian house in Dublin, went to design school and learned how to cut a pattern all in six weeks 'cause there was no money, and opened my business when I was 17. Dennis Scully: Opened your fashion design business? Dennis Scully: Fantastic, fantastic. How did business come to you? How did people find you? Clodagh: What happened was first, a woman walked up the stairs and I thought, this is gonna be my first client and she looked at me and said, "I'm looking for the designer." I said, "I'm the designer." She said, "You look very young. How old are you?" And I said, "Seventeen." Clodagh: She said, "I think you're too young. I'm not going to put my confidence in getting an outfit from you." Off she walked down the stairs. I went inside, stamped my foot in great anger and said I will never tell anybody my age again because I'm going to be either too old or too young and I have stuck by that. Dennis Scully: That was it and you've never told anyone your age again. Clodagh: Exactly. But anyway, a woman had seen my coming out collection. I had done a few pieces in a group collection when I was at the pattern cutting school and she liked them and she asked me if I would put a show together for the Irish Council Society in the Hibernian Hotel and I did. Dennis Scully: Oh my goodness, okay. Clodagh: We had a great turn out. I was terrified. I was modeling the clothes myself. And it was a big success. Dennis Scully: I'm sure it was. You were so chic. I remember seeing early pictures of very fashionable you, so I'm sure it must have looked fantastic. Clodagh: No, it was fun. We had ball gowns, we did the whole thing. There was a great turnout, all the lords and ladies, the hunting, shooting, and fishing crowd, the Dublin aristos and the music people and so on. It was great fun. Dennis Scully: How fantastic. Was that it? Were you launched after that? Clodagh: And then, not too long afterwards, the BBC was doing a show called Inside Ireland and they did a segment on me called "The Fashion Maker" and that put the lid on it. Again, then I got offers from the States and everything. I was off and running. Clodagh: But the funny thing about it is that when my father saw the publicity in the Irish Times, I was invited back in again. Dennis Scully: That's when he finally reopened the door at home. Dennis Scully: Okay. How long did you stay in fashion? Clodagh: I stayed, I suppose, 10 years in fashion and then I had three boys. I got married, I had three boys, had a big house, gave lots of parties. He was in the ad business. We lived the high life and I changed husbands, countries, and careers and went to Spain to start what I'm doing now. Dennis Scully: There was another sort of turning point there when you said you changed husbands and careers and all of that. What was the trigger for all of the changes all at once? Clodagh: The marriage wasn't great. Dennis Scully: Okay, so you decided I need to go? Clodagh: Yes, I needed something- There was something in me about fashion that it became too ephemeral for me. I wanted to do something that made a more lasting change in people's lives. Clodagh: I had designed wardrobes for traveling, people like the wife of the president of Ireland. She was going to Africa, so I designed everything so it wouldn't wrinkle and it was perfect. She was insane about it. She loved it. Clodagh: I was light enough and this, that, and the other. Dennis Scully: I would love that. Clodagh: You couldn't make such a radical difference in people's lives in fashion. Clodagh: You make this temporary difference but not a permanent difference. Dennis Scully: Part of your desire was to make more of an impact, more of a difference in people's lives. Clodagh: I needed to find a road, I suppose. Clodagh: And we bought an old townhouse on an old square in the Almeria. I didn't speak Spanish so I said to my husband who did, "I'm going to learn Spanish, so we're going to have to fix up this house" because it was a whole series of little cubicles, although it had stately high windows that looked out on an old square full of plane trees and sparrows. Clodagh: It was lovely. That part was lovely. We said, we'll go ahead and do it. I said, I'll have to talk to the architect then so with my dictionary in hand and the architect at the table, I looked at his drawings and the more I looked, the more angry I got. Clodagh: I said, you can't put a kitchen down at the end of the drawing room when the dining room is at totally the other end of the house. You know? Stuff like that. Dennis Scully: Oh, you didn't approve of the drawings at all. Clodagh: No, I [inaudible 00:09:51] was going to learn Spanish when I helped with the house but then I discovered I was drawing over the drawings. Dennis Scully: Okay, okay. You had to take matters into your own hands. Clodagh: I took matters into my own hands. The architect and I got on quite well, but I did an interview, my mother-in-law had a flat on the top story of the house, so we put in a little elevator and I designed the kitchen the way she liked to cook with her main. Clodagh: I designed a kitchen of how I like to cook because I'm a cook. I wandered around and got beautiful old doors that had been thrown out of old buildings and stuff like that. Clodagh: And put the whole place together. The interesting thing to me is that the change came the day of demolition. I was standing in the room on the second floor, the doors were open, the French doors were open onto the square. Clodagh: You could hear the birds chirping in the square and the house was full of dust and a beam of light came in through the window and hit the dust, so it was almost like a flood light coming in through the window. I looked at it and I thought, that's what I'm going to do. This is what I'm going to do. Dennis Scully: It was almost a message being sent. Clodagh: It was, yeah. It always hits me on my left shoulder, these messages. Clodagh: Totally right. When my husband came home that evening, I said, "You know that room downstairs you're not quite sure what to do with? The one that gives onto the street? I'm going to put my office there. I'm going to be an architect designer." I'm totally untrained in fashion, I'm totally untrained in this. Dennis Scully: To so many people, that would seem so bold to just say, oh now, I'm going to be a designer and an architect and as you say, completely untrained. But you felt that you could do it. You had the confidence in what you were doing. Clodagh: It's really hiring people that are better than yourself who really know what to do. In fashion, hiring the best tailor, the best seamstress, the best knitter, the best crochet maker, and then with doing what I was doing, I ran into an architect, an English architect who was having a sabbatical in Spain. 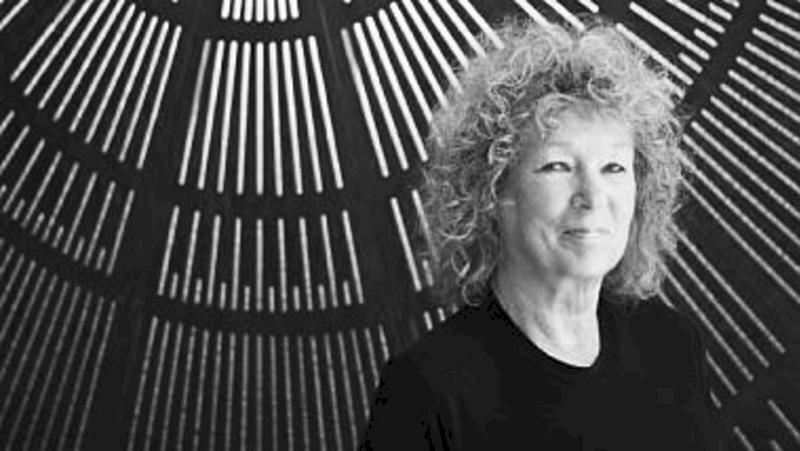 Clodagh: She was an environmental architect and she said, "I don't really understand very well how rich people like to live, but I do understand how to put together a house so the sun pattern is right and I use environmental materials." Clodagh: So, the pair of us got together and we built environmental houses and we had a great time. Clodagh: Yeah, she was amazing. She was terrific. Dennis Scully: That was a very fortuitous meeting and really you started working together and that got you going. Clodagh: And like with fashion, where I had gone out and driven out in my car to find knitters and weavers and printers and all that, I went through Spain in my Land Rover and found wonderful artisans and artists. Clodagh: You'd have seen me going up in a crankly old Land Rover. I called her Dulcinea, going up to Granada, the twisty roads, and coming back with piles of chairs on the rack. Dennis Scully: And things that you found that people were making? Dennis Scully: And you started incorporating them into your designs. Clodagh: Yeah. I'd go into a bar and I'd sort of order a drink or a coffee and a strange pueblo and the bartender would always be cleaning the counter a little closer and a little closer to me. Then, he'd say, "What are you doing here?" Clodagh: I'd say, "I'm an Irish gypsy." The gypsies bought and sold things. He'd say, "Usually gypsies aren't Irish and you don't look like a gypsy." Irish gypsies look like me. Dennis Scully: Yes, he had never seen an Irish gypsy before. Clodagh: Exactly. They would say, "Are you coming to buy stuff then?" I'd say, "Yeah, old tables and stuff like that." Clodagh: He'd bring me to places where they had old tables or old chairs or old armoires and stuff like that. Dennis Scully: You found all sorts of treasures. Clodagh: I opened a store called Trastos which means things in Spanish. Dennis Scully: You opened a shop in Spain. Dennis Scully: Okay, and started selling things you found. Clodagh: With the courage born of total ignorance by the way. I'm convinced all courage comes from ignorance. Dennis Scully: All of your courage seems to come from that anyway. I can't speak for the rest of us, but you're far more courageous than most. So, you started a shop and people came and discovered what you were doing? Clodagh: I consulted on hotels. Of course, being Irish, I designed bars, I designed private homes, corporate residences. Dennis Scully: Clients just found you there? Dennis Scully: Yes. When did you finally make your way to the States? Clodagh: My husband's parents were alive at that time. They were getting very old and they were living, he's French born, they were living here in New York and he decided he wanted to come back to be with them. Clodagh: So, I kicked and screamed but I came and here I am. Dennis Scully: You came anyway. Dennis Scully: Okay. That was a while ago, yes? Clodagh: Yeah, I've been here over 30 years now. Dennis Scully: Over 30 years, okay. It was really originally your husband's family versus your work that brought you here, but did you find it easy to find work once you got here? Clodagh: Total coincidence. I was walking down Madison Avenue and I ran into the photographer who had photographed the doors of Dublin and the door of my studio, my fashion studio was a Georgian house in Dublin. Clodagh: I said, "Hi, Bob" and he said, "Hi, Clodagh, what are you doing here?" And I said, "Actually, I've come here to live." "And what are you doing?" I said, "I'm not sure. I was designing in Spain, designing houses and stuff like that." Dennis Scully: You don't know my work! Clodagh: "I was in your house and in your studio in Dublin. That's enough for me." Dennis Scully: That was it. You were off and running. Clodagh: And then he gave me his ad agency to do and then I was off and running. Dennis Scully: For you to design and that was it. Dennis Scully: And so, did you start hiring people in those days and start building a team? Clodagh: Yes, yes, I did. Of course, I started out with a smaller team. Clodagh: I started with a team of two and then we got a really big job for Primerica, 9 West 57th Street. Clodagh: It was a really, really big job and we had put together a slightly larger team and the rest is history, really. Dennis Scully: And you were off and running. Clodagh: We were off and running. Dennis Scully: What was informing your design at the time? Where were you coming from with how you looked at design? Today, so much of your work is about healing and light, but that wasn't going on for you at the time, was it? Clodagh: It was. All the way through. Clodagh: The way through fashion too, I was working with environmental materials. I was studying the way people move and sit. Clodagh: Which you have to do if you're a fashion designer and you know your stuff. Clodagh: It's the same now and I just want to design for wellness. I want to design so people can have a good experience. It's not about the design. It's how people experience it. Dennis Scully: It's about how people experience it. Dennis Scully: Tell me about that. Clodagh: And what they take with them. Clodagh: Well, we address all the fences and we incorporate all the elements that we know of and the senses we know of and also with the spiritual side, working with a team of feng shui master biogeometry, biophilia, everything like that. Clodagh: We somehow make the invisible tangible. The sensation going into one of our spaces is quite tangible, people tell me the good feelings you get. Dennis Scully: When did you start to learn about feng shui and incorporate that into the work you were doing? Clodagh: When we had a loft on 1st Avenue and my step daughter invited an editor over for lunch. I wasn't there, but when I got back after she'd had the lunch, Valerie said to me, "Have you done feng shui on this loft?" Clodagh: I said, feng what? Clodagh: She said, "My friend who came for lunch is editing a book for Sarah Rossback on feng shui." We decided we'd get together, so Sarah and I got together and we've been working together ever since and the reason they thought I'd done, we'd been working with feng shui is I had all my elements in the correct position. Clodagh: I think instinctively, I'm very aware of how energy moves through a space. Clodagh: And I say that everywhere you look, everywhere you walk, you should see something beautiful on axes, but also that the air should be pure. All those things. I was working all those things. Clodagh: Anyway, again, going back to Ireland and the fact that you opened your windows every morning in the house, even if it was for a minute, even the iciest day, you let air flow through. Dennis Scully: That was always important. Dennis Scully: Beating the carpets. Clodagh: It was a huge energy thing when spring came. I was trying to bring that energy back into people's lives so it doesn't become too monochromatic for them. There's ups and downs. The ups are up. Clodagh: Also, a place that gives you a hug when you come home. Not that you walk in the door and you think, I'm going to have to take care of that and I'm going to have to take care of it. Even down to what's put in the fridge, I try to teach people to help them. Dennis Scully: That's so thoughtful. They must feel so cared for, the people that you work with. Clodagh: In the beginning, they're a little scared. Nobody wants me to open their closet doors because if I sense stagnation in the house, I can actually smell it. Clodagh: If people's closets are packed with unused stuff, you know the things aren't flowing right. Dennis Scully: I know just what that's like. Clodagh: Sometimes when I'm giving a talk, I say, would anybody in the audience put up their hand who would like me to go over their house right now and open their closet doors and their kitchen cabinets? Very few hands go up. Dennis Scully: People are very nervous about having you come over. Clodagh: Yeah, because have duplicated things, never got rid of them, they have never used them. I just believe that if you got surplus, it should go to help others. Clodagh: Or throw it out if it's really useless. Most things aren't really useless. Dennis Scully: So you could give it away and help someone else with all of that excess that most people have in their homes. Clodagh: I don't ever buy a new thing that I don't give something away. Dennis Scully: Is that right? There's always sort of an in and out with you? Okay. We're gonna take a quick break for a word from our sponsor, but we'll be right back. Dennis Scully: Discover the workspaces and business tools powering exceptional excellence in interior design. Fuigo's 18,000 square foot Park Avenue studio includes beautiful workspaces and material and product samples from thousands of top A&D vendors in the world's largest lending material library. Dennis Scully: Now available to interior designers everywhere, Fuigo's modern project management software was tailored to solve the business needs of groundbreaking designers at Fuigo Studio. Visit fuigostudio.com to book a tour, that's f-u-i-g-o studio.com. Now, on with the show. Dennis Scully: Philanthropy was become an ever increasing part of your business and we were talking about the tribal chief and the many children that you are involved in helping. Tell me a little bit about how you got involved in that originally. Clodagh: I've been involved in various philanthropy all my life. In 2001, a friend of mine who had retired at 50 and she was roaming around, she met the Dalai Lama, she went to Tibet, she went to South Africa and she was driving a Jeep with two friends up the North South African Highway and it broke down. Clodagh: It was getting dark in a remote part of the bush and they were sitting there thinking what would they do and out of the bush came these women and children, beautiful robes and so on, so forth. They were looking and the tallest woman leaned over the Jeep and said in English, "Can we help you?" Clodagh: That Chief George, who maybe you'll meet, they brought her to Chief George and two of the tribe helped, the boys, the two men, to find the part nearby, but nothing is nearby in the bush. Clodagh: But, a part to fix the car and she stayed the night in this place where they have the little store, way way way away and then they brought the part back and she was so grateful they were so generous with her and they have nothing. Clodagh: She said to the chief as she was leaving, "You've been so kind to me. You've been wonderful to me. How can I possibly help you or give you something too?" And he said, "Help me to educate our children because our tribe cannot survive without education." Clodagh: Fade out, fade in, she came to my studio when I was on Broadway and she said to me, "Clodagh, I need a little help with some education." I can't say no to a friend, so here I am. Clodagh: Co-founder of the Thorn Tree Project. Dennis Scully: The co-founder of the Thorn Tree Project. Clodagh: Yes. She is the founder, Jane Newman. In fact, I have a board meeting tonight. Dennis Scully: Right. What will you be discussing tonight at the board meeting? Clodagh: Discussing how we can sponsor the next 30 students, which I made 29 today because I got a wonderful sponsor today for one of them to put them through college. Clodagh: To how we increase the level of education we're getting for them. We've already got water for them. We've built dorms for them because [inaudible 00:23:54] nomads, it's only the preschoolers who get any school because the tribe moves. Clodagh: The older kids need to have a dorm and then join their tribe at holiday time. Dennis Scully: I see, okay, when school is out. Clodagh: And then when they get a little older and they get the correct marks, they can go to high school and college. Now, we have 150 in high school and college. Clodagh: And 1500 in school. Clodagh: Yeah, 13 preschools. It's from six, seven and on. Dennis Scully: That's fantastic. How often are you getting over to Africa these days? Clodagh: I've only been twice with the tribe because it's quite an arduous trip. Clodagh: But I'm on the ground here working. A slice of my life goes to doing this. Clodagh: I'm going next year again. Dennis Scully: You spend an awful lot of time traveling. You're involved in so many different projects. How do you sort of manage all of that? How do you manage this great big business that you've built? Clodagh: It's very small business. It's only 25 of us. Dennis Scully: 25 people here in the office. That seems like a pretty big business to me. Clodagh: It seems like not very many people when we have a big project to get out. Dennis Scully: Well, tell me what you're working on right now. Clodagh: We're working on Grand Hyatt in the Cayman Islands, like 375 rooms, something like that. Clodagh: Tons of food and beverages. We're working on the garden too because I'm like water, I seep in everywhere. That's why I don't say interior designer. I really like to design the entire experience. Clodagh: I work hand in hand with some of the best garden landscape designers. Dennis Scully: You're just a designer. Is that what you like to say? Clodagh: A designer, yes. We just finished a job in Turkey. Clodagh: In Turkey this year. Last year, for Six Senses. Again, quite a big project. I think 71 little villas and the hotel itself and they're working on the gardens still. Big job. Clodagh: Where else are we working? We work in San Francisco, Washington, here of course. Clodagh: We're doing a very big building here actually. Dennis Scully: Here in New York. Clodagh: It's 1600, 1800 units I think. Clodagh: In Queens. Queens Plaza. Dennis Scully: My goodness, okay. You juggle all of that with, now that you say all of that, you're right. 25 does sound like a very small staff. Clodagh: And in Austin, we're doing a Miraval in Austin and Miraval in Lenox. Dennis Scully: In Lenox, Massachusetts? Clodagh: Can I go on? Dennis Scully: Okay, well it sounds like you can. Clodagh: We have about 20 licensees. People who actually we designed for and they make and distribute what we've designed. Dennis Scully: I wanted to talk about that as well because you were constantly working on different products and different licensings. Tell me how you managed that and how that business got started for you. Clodagh: It got started when the company called Design Techs invited me to design a one for one collection. They chose, I think, three designers to do one for one. I loved doing it. Clodagh: I loved designing and having somebody run off and make it and sell it and then it's like sending your child to school and then they send back a check when they get a job. Dennis Scully: Fantastic, yes. I wish my children would do that. Clodagh: They will, they will. Dennis Scully: That's how it got started with Design Techs. Clodagh: That's how it got started and then other people asked me and then I asked other people. Dennis Scully: That you wanted to work with and that you wanted to design for? Dennis Scully: Okay. What have you especially enjoyed designing or working on? Clodagh: I'm like Eartha Kitt. She was once asked who her favorite lover was and she said the one I'm with. Dennis Scully: Okay, whatever you're working on now. Clodagh: I was working on my concrete collection for True Form just before you came in and we're designing some new stuff for them. Clodagh: It's nice and it's nice too that we're working with Restoration Hardware because they're retail so it means that our work gets out to the public. Dennis Scully: Tell me how that relationship got started with Restoration Hardware. Clodagh: They just asked me if I'd design something for them. Dennis Scully: They did, they reached out to you and said would you design something? And what did you end up designing for them? Clodagh: Started out with outdoor furniture, some in the next room. Dennis Scully: Is that what I was sitting in before? Clodagh: Sitting on one, yes. Dennis Scully: Okay, it's fantastic. It's beautiful. Clodagh: Now, we're expanding the collection and they're bringing us indoors as well as outdoors. We can come in from the cold. Clodagh: Lighting, we designed lighting. Dennis Scully: You designed lighting for them as well. Has that been a good partnership? Have you enjoyed working with them? Clodagh: It's great. They're really good. Wonderful people. Dennis Scully: Oh, well that's good. As you say, it's certainly a lot of exposure. Clodagh: It's a lot of exposure and also you can specify something you've designed yourself and make it available at a price that's a possible price whereas if you're making stuff yourself- We do have a collection where we have private label. It's obviously more expensive, more one off, three off, and stuff like that. Dennis Scully: And then you can specify your own things. Clodagh: We can specify it and it's available to everybody. Dennis Scully: That's fantastic. Okay. Clodagh: I think, my great hero, I should say was, is, actually Terence Conrad who brought low and reasonably priced home furnishings and stuff for the kitchen and so on to the common you and me, that we could afford it. Dennis Scully: Absolutely. I'm still so sad that Conrads closed here in New York. Clodagh: Tragic. And his restaurant. Everything he did. Dennis Scully: No, absolutely. Everything he did was magical. Dennis Scully: Yes, I completely agree and always wore blue shirts. Dennis Scully: Yes, I'm with you. He's a good hero to have. He's a good design hero. Clodagh: I like that, that you can make design available to everybody. It shouldn't be just for an elite few. Dennis Scully: That is part of what Restoration seems to be doing and what other companies are trying to do is make good design more widely available. Clodagh: And then we do some pro bono design work as well for various people. Dennis Scully: Is that right? Who do you do some pro bono design work for? Clodagh: [inaudible 00:30:00] Retreat, I'm doing some work with, the Buddhist retreat. Dennis Scully: With a Buddhist retreat? Now, are you a practicing Buddhist or do you just sort of study some of the principles? Clodagh: I have no label you could stick on me that would stay on. Dennis Scully: Okay. It's hard to pin you down. Clodagh: Buddhism is a state of mind, really. It's not a religion and it's mindfulness and it's just an awareness and of course, I've been to teachings and stuff like that. Dennis Scully: Okay. It informs how you live and work. Clodagh: It informs how I live and work, yeah. Dennis Scully: Yeah, and kindness and mindfulness is all part of that. Clodagh: Yeah, and it's very important to me in our studio that there's wellness in the workplace. This place, we have our feng shui master is coming in to do a pre-winter cleaning. Dennis Scully: The feng shui master's coming in soon? Clodagh: And we have hot and cold filtered water. We try to make sure that everybody's cared for. Dennis Scully: Do you filter the people that work with you through that same sort of lens? Do you talk to them about spirituality or how they view these things? Clodagh: No, I don't. Anything they want to take in. The only thing that we insist is they're kind to the clients and don't speak badly about them. Clodagh: That's very important because you sometimes go into places and they say, they're talking about their clients and the clients are just people, really. What was it Gloria Vanderbilt said, "Be kind because everybody you meet is fighting their own great battle." You don't know what's making the person unkind. Dennis Scully: Sure. And what they're suffering through. Clodagh: Yeah, exactly. We don't have any spirituality. We sometimes have teaching sessions for wellness or something like that and people attend if they feel like it. Dennis Scully: Right. But in your space here, I know you've got a big crystal to my immediate left. I know there's some sage that might have been burning earlier. Clodagh: Right. Yes. I've got it, yeah. And three Buddhas actually. Dennis Scully: There's several Buddhas around. Clodagh: He is a reminder. Dennis Scully: What is he a reminder of? Dennis Scully: In your heart, yeah. Dennis Scully: And be mindful. Dennis Scully: How does that inform your work when you feel you're mindful, how do you come to your work? Clodagh: I come to my work when feeling and being mindful, I do much better work. Clodagh: And it's a bit hard actually in our business because a lot of meetings going on and a lot of refraction of your energy and your mind. Refocusing is incredibly important. I did, when I was in Spain, take a transcendental meditation course. Clodagh: I'll use my mantra sometimes if the going gets tough. Dennis Scully: Is that right? Were you able to sort of achieve a different state with that? I've always wondered. Clodagh: Totally, yeah. Very quickly. Dennis Scully: Very quickly. Okay. Clodagh: In the back of a taxi when you've got a screaming taxi driver who's roaring at the car next door or something, I tell him to shut up and then start repeating my mantra. Dennis Scully: First you tell him to shut up and then you go into your transcendental state. Clodagh: Yes, that guy didn't do anything to you. Just shut up. Dennis Scully: Right, okay. Do you have to do that with clients sometimes too? Clodagh: No, what happens is if clients are really rude or nasty to one of my staff, I will get on the phone and reprimand them. Clodagh: And if they don't apologize, that's it. We're not going to continue working with them. Dennis Scully: Is the spirit that you've brought to your work, is that part of what you attribute the success that you've had? You really do seem like one of these designers that can do anything. You've done hotels and you've designed products and you've learned so much over the years about wellness and taking care of people. Dennis Scully: Do you think that that is all part of what made you so successful, was your mindfulness and your caring? Clodagh: I think my ignorance is what made me more successful and I think the ignorance has been brilliant because it means I can challenge anything. I don't know the rules. I can't break them. Clodagh: If somebody tells me I'm breaking the rules with air conditioning or HVAC or engineering or something, I'll say, well, can we just think of an alternative? Dennis Scully: Right. Okay. Okay. Clodagh: Can we move that column and just put a transfer beam there or something? 'Cause the feng shui going in the door is not quite right. It's being able to do that, it's because you're coming from a place where you're not challenging somebody really. Dennis Scully: Yeah. Has technology changed the way you work and altered things for you? Clodagh: I think the good thing about technology is communication and it's much more easy to be thankful fast. Clodagh: To thank people fast is one of the great things that's brought to us. Clodagh: The thing that I don't like about it is that it tends to permeate one's life if one isn't careful. Dennis Scully: Are you able to balance that yourself? Dennis Scully: I would imagine you're on call all the time. Dennis Scully: I mean I saw your calendar on your computer. It's quite full. I mean, you don't seem to have a lot of free time. Clodagh: Don't have a lot of down time, no. Dennis Scully: No, didn't look that way and I know you're always traveling and you look quite booked. Clodagh: I like planes. I like being on a plane. Clodagh: For me, it's like a spa. Nobody can disturb me. Dennis Scully: That's an away time. Clodagh: I'm waited on hand and foot. Clodagh: My Jack Daniels is bought in a moment on my home flight and I can sit and sip. Dennis Scully: You can sit and sip. Clodagh: Look at a funny movie and laugh my head off. Dennis Scully: That's great. Okay. Clodagh: Humor is a very important part of my life. Dennis Scully: That is an important part of your life. And how does that come to you? Where do you find that? Where do you find humor in your life? Clodagh: Well, we have a lot of funny people working at the studio. Dennis Scully: Oh, good, okay. Clodagh: Usually no pun goes ignored, which is great because I'm a punster, being Irish. Clodagh: We're always laughing and joking here. Clodagh: And my husband's funny. Dennis Scully: Yes, I've met your husband. He's very funny. Got a big personality. Clodagh: I love funny movies. I can't wait to get home, read The New Yorker tonight and the cartoons. Dennis Scully: I saw The New Yorker sitting on your desk. That's great. That's one of my favorite magazines. Clodagh: It's one of my weekly treats. I think it's about giving yourself treats too. It's what keeps one calm. Dennis Scully: It's giving yourself treats and sort of taking care of yourself. Clodagh: After all, a lot of emotions in a bag of skin, really. Dennis Scully: It's so true. As we have to leave you now and I have to turn the air conditioning back on for your staff who are probably getting quite warm, I'm wondering, in leaving you, where you're headed next? Is there a next direction for you? Dennis Scully: I know you're a big love the one you're with person. But what are you thinking about you wanna work on next in your career? Clodagh: I had the honor of being asked to give a show for my photography next year. Dennis Scully: That is exciting. Who asked you to do the show? Clodagh: Cheryl Hazan Gallery in Tribeca. Clodagh: I do have the imposter syndrome sitting behind me. I should tell you that. I don't know if you've ever heard of the imposter syndrome. Dennis Scully: Well, tell me in your own words. Clodagh: Because I know nothing, because I've never completed any formal training, I'm constantly that little fella, the imposter syndrome behind me telling me can you really do this? Are you really good enough? Dennis Scully: So you're always still questioning yourself. Clodagh: I'm always questioning myself, how I can do things better. How I can make people's lives better. Dennis Scully: That's always pushing you, that little imposter syndrome sitting on the shoulder. Dennis Scully: After all your success, after all the things you've done, that still is there. Clodagh: Yeah, what is success? I mean, we're in transition all the time. Maybe not the success moment. It's maybe a bad hair day 'cause [inaudible 00:38:21]. Dennis Scully: Sadly today is a good example of that for me. Yes, it's a rainy day in New York. Clodagh: Success is not an absolute. You'll have a success with a project and then you move on. Oddly enough, the more success you have with a project, the more challenged you feel when you get the new one. How can I make this better? Dennis Scully: Is that how you feel? That you're always trying to make it so much better. Clodagh: Yeah, always trying to jump a little higher. Dennis Scully: Yes. Well, good for you. You sort of keep pushing yourself in that way. Now, your husband is a photographer. Is he very proud of you for getting asked to do a show? Clodagh: Very. No, he's in real estate as well. Clodagh: And he's still writing bits and bits. Clodagh: We're all doing different things in our family. Dennis Scully: Well you have a tremendous family and everyone seems to be so talented and willing to jump into all of these different things. I admire your courageous way. Well, thank you so much for letting me come and spend time with you in your office today. Dennis Scully: Clodagh, it's been a pleasure and a privilege. Clodagh: Thank you very much. It's interesting to be able to talk about myself. I'm usually talking to my clients about their selves. Dennis Scully: I know, you're not used to talking about yourself but I appreciate you being willing to talk with us. Clodagh: Thank you for inviting me. Dennis Scully: Such a pleasure. Thank you. My guest has been Clodagh, just a designer, Clodagh. Dennis Scully: Thank you again for joining us. The show is Business of Home and I'm Dennis Scully. If you like what you hear, please feel free to subscribe, tell a friend about the show, and most of all, leave us a review on iTunes. Thank you again to our sponsor and our producers. You can find us at businessofhome.com or on Facebook or Instagram. We'll see you next week.